Eyes twinkling with excitement and proud smiles across their faces, they shyly displayed their awards. 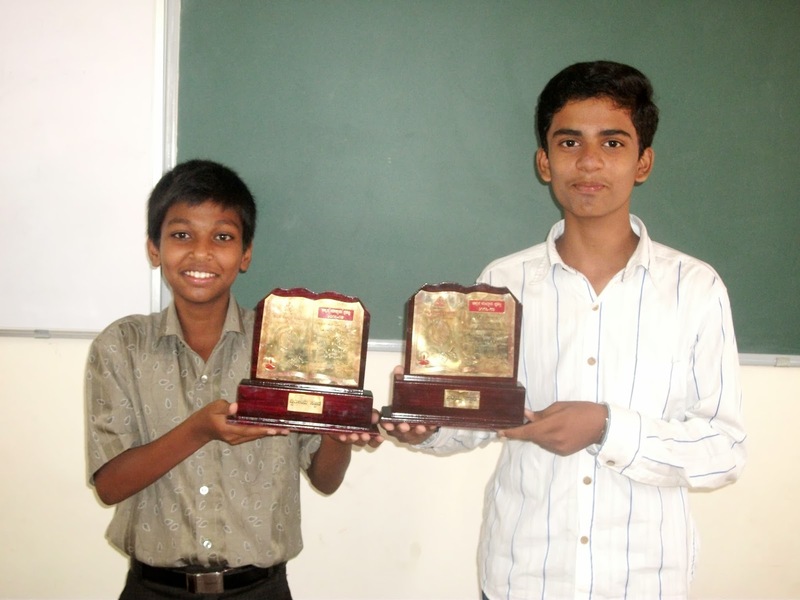 Hanumantha S and Lingaraju L, our TenPlus students, have been awarded the Kannada Madhyama Prashasthi, by the Kannada Abhivriddhi Pradhikara of the State Government, for securing the highest marks in SSLC at the taluk level. 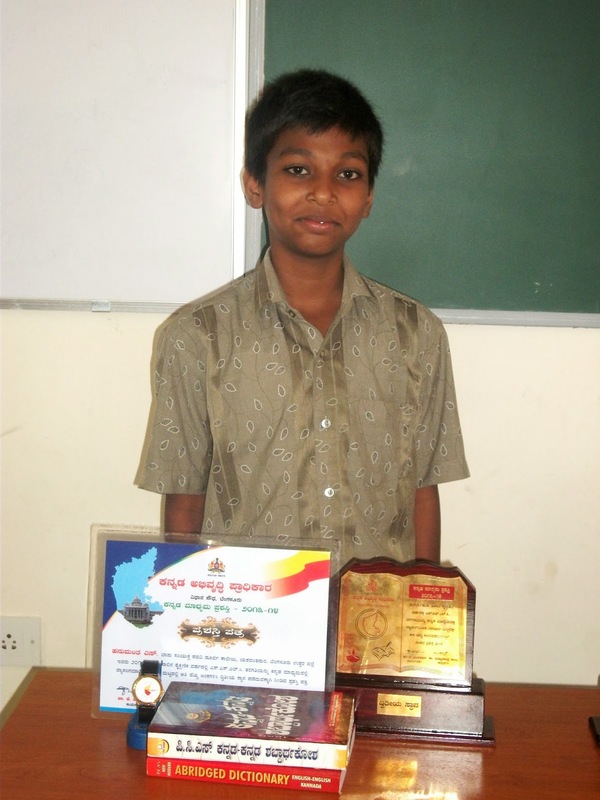 This award is given to exceptional students from Kannada medium schools. Lingaraju stood first, while Hanumantha was a close second. 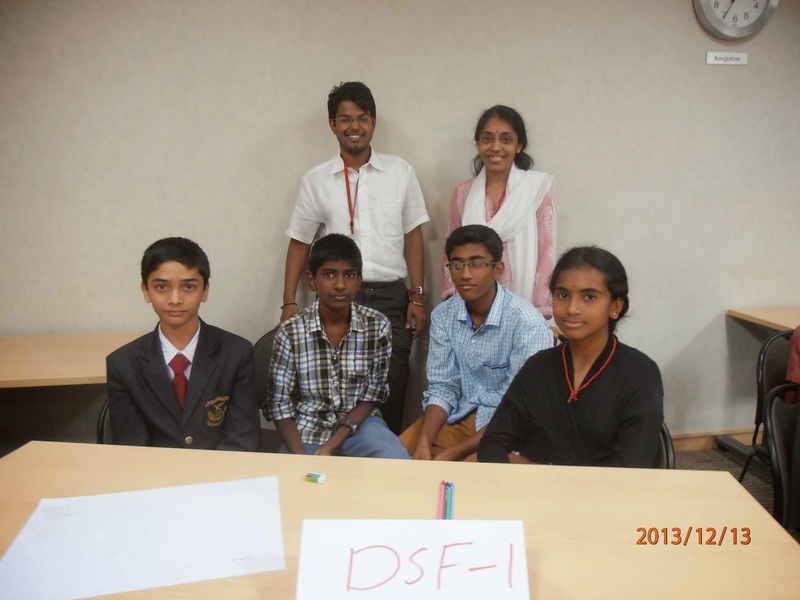 Their association with Dream School Foundation goes way back to their seventh standard, when they were inducted into the DSF HeadStart programme. Now pursuing their first year Pre-University from MES P.U College, these ex-students of Bapu High School have known each other since school. Though competitors, as they posed for the photos, their camaraderie was clearly visible. 'There was always a healthy competition between the two, as one tried to outscore the other', says Mrs. Bhagya, a teacher at DSF. From a similar background, Lingaraju belongs to a family of five. His father is a labourer and mother works as a house maid. 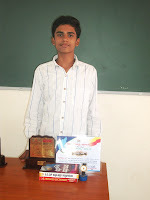 Diligent and focused, Lingaraju, is a good example of an ideal student. ‘His dedication towards studies was evident, as he unfailingly attended classes every day, even though he had to travel quite a distance’, Mrs. Bhagya says. 'Quiet in the class, he absorbs everything and is much disciplined’, she adds. On being questioned about his future goal, ‘I want to become an engineer’, he says with a smile. Self- motivated and hardworking, these boys are an inspiration for many. Raring to go, the students and staff of DSF’s Yeshwanthpur E&D center, trooped into a bus which arrived sharp at 9:45 am, looking forward to an exciting day ahead! DSF’s long time partner, Rambus Chip Technologies, had organized a day long trip to their office on Bannerghatta Road. On reaching the campus, we were given a warm welcome by Mr. Murali and his team. An icebreaker session followed, with the students introducing themselves and talking about their goals and dreams. 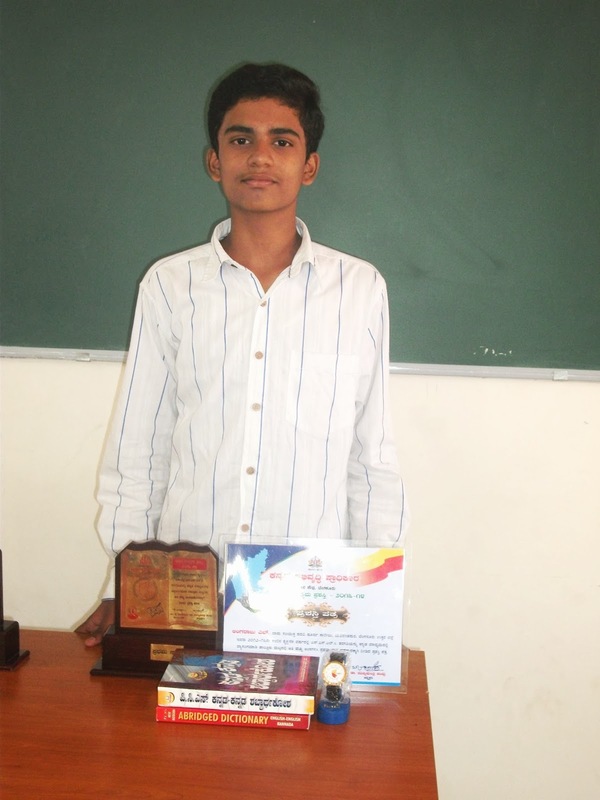 Unlike the previous batches, the students had varied goals. From doctors to sportsmen, engineers to IPS officers; their aspirations were diverse. The students’ determination to follow their own path was well appreciated by the Rambus team. When Chaithanya expressed his ambition to join the IAS and later enter politics, Mr. Murali was impressed, as, in his words, “we need young blood to rule the country.” Following the icebreaker, the team played a few videos for the students, which left them inspired and motivated. A couple of fun activities had been arranged for the group, the first one being a test of reflex. The students were divided into teams of two. Each team was given a scale with a meter. One in each team was asked to hold the scale while his team-mate waited in anticipation for the scale to drop. The swiftness, with which he caught hold of the scale without letting it touch the ground, was measured using the meter, reflecting his reflexes. Each student was given three chances and the first three teams were awarded chocolates. The second activity was a test of concentration and balance. The group was provided with a paper cup, a metal measuring tape and a ball. Each student had to put the ball into the cup while balancing it along the tape. The student, who managed to put the maximum number of balls into the cup within 30 seconds, was given a prize. 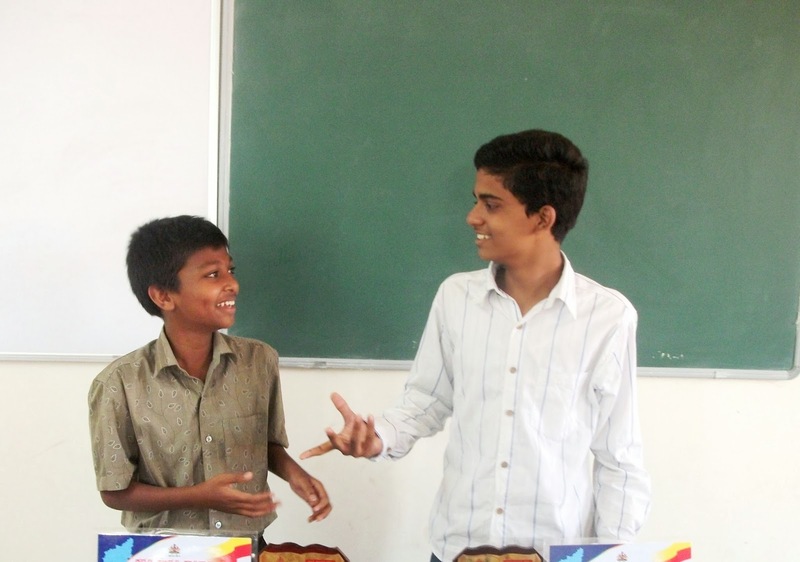 The end of the activities saw broad smiles on the faces of the students, as they gleefully clutched their chocolates. As a token of their love and appreciation, the students presented the Rambus team with a special handmade card, colourfully adorned with their thumb imprints. Starting the tour, the students were divided into groups of five, and taken to all the departments of the organization. They were exposed to the workings of the chip designing, software designing, lab testing, human resources and finance departments. They were also given a tour of the UPS and recreation rooms. The fascinated group, was explained the nature of work and functions, of each department and were encouraged to question and understand. The employees at Rambus, more than happily answered the plethora of questions that followed. As we toured the office, we were pleasantly surprised and humbled, to see DSF cards, plaque and pen stands, previously given to the Rambus team, displayed in Mr. Murali’s cabin. An exciting and eventful morning left the students hungry- for food and more. Lunch was a delicious spread of various dishes, especially arranged for them, by the team. They had also arranged for more activities and games post lunch, ensuring that the students’energy didn’t ebb. Later, the group was also given instructions and tips, for playing table tennis and foosball, which they keenly absorbed.The team conducting the day’s activities, joined in on the fun and made it even more memorable. End of the day saw the students drag their feet to the bus, waiting to take them home. Reluctant, to see a day filled with learning and fun, come to an end, they bid adieu to the hospitable and friendly team at Rambus. On a sunny day at the St. Joseph’s Indian High School grounds, preparation was in full swing as the city was all set to celebrate GeneroCity-2013, an event organized by United Way of Bengaluru. As the volunteers of the Dream School Foundation marched in with banner-spanner, coaster and poster in hand, our mission ahead was clear--- spread awareness. A multitude of stalls set up by a number of NGOs that varied in work from education to street children rescue, dotted the entire field; all in the hope of championing their endeavor. Right in the middle stood five wish-trees; NGOs pinned up their little wish-cards in anticipation of making their dreams and wants come true. Our intention being telling the world what we do, we distributed mentor brochures, handy bookmarks and doled out information about our various programs. A quick quiz on education and all things related saw very few takers as some of them even scampered away seeing the word ‘quiz’ on a placard. For the general inquirer who sought information, bookmarks were given as a token of thanks for showing interest in our work. As the day progressed, on the main stage there were sprightly performances, complete with music and dance. As the event came to a close and the prize distribution was about to commence, volunteers and students of the Dream School Foundation prepared to spring a surprise on all those present. A small announcement by the Emcee had the audience turn their gaze to the centre of the venue. A flash mob! Lead by Supriya, the spirited performance had everybody’s undivided attention. Placards that read ‘Our Right to Education is Non-Negotiable’, ‘Every Child has a Right to Education’ etc spoke of the importance of education and was the underpinning of our mission at DSF. As the entire audience formed a semi-circle and cheered the enthusiastic dancers, a number of cameras captured the performance and the mood of the crowd. The show can be summed up as one that was energetic and lively. All in all, as we returned to our homes, we felt content for having told even if it were just a few more people, that the Right to Education is non-negotiable! After a much-deserved holiday and having just completed their exams, students at the DSF R.T.Nagar Centre were in no-mood for ‘academic engagement’ ( very simple, textbooks were a strict no-no!) Fearing physical harm, I still took the chance of asking our students to turn to page 86… in chorus, the response was a loud NO! Little did they know that they were in for a big surprise! Veering away from the usual, a combined class of the 8th and 9th students saw an approximately 50-strong audience gather, giving us the ideal mood and timing for a talk on Gandhi. Starting off, we discussed and deliberated why Mohandas Karamchand Gandhi was deserving of titles such as ‘Father of the Nation’ and the ‘Mahatma’. Expressing eagerness and interest in knowing more, this class was one that was interactive and engaging. 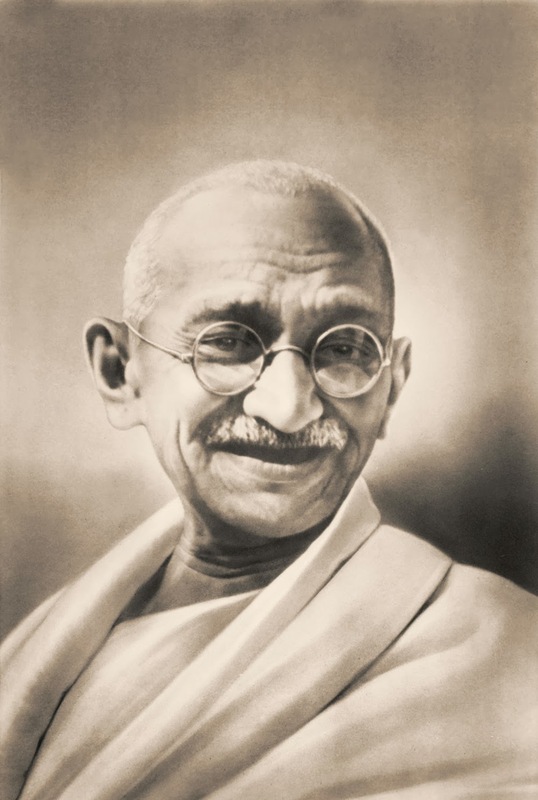 A documentary on the Mahatma was screened which shed more light on his nobility and impeccable discipline. 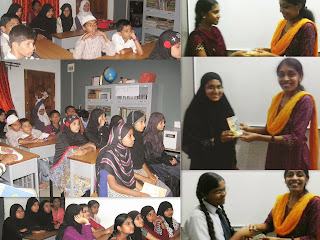 At the end of this short-movie, a quiz was conducted which saw a clean-sweep by the girls. 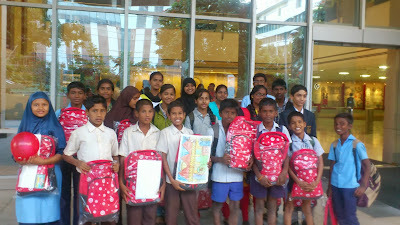 Poornima Holla, Programme Coordinator, presented each one of them with a small gift for answering correctly. All-in-all, with the close of this special class, each student seemed greatly influenced by the supreme sacrifice and qualities that captures the legacy of this simple man, which will bear impact on our minds and hearts, for generations to come. Balloons, flowers, streamers and a colourful banner with loads of heartfelt messages; the teachers of Vivekavardhini High School couldn’t have asked for more. The excitement of Teacher’s Day was palpable. This is one day of the year that children get to express their adulation and gratitude for their teachers, and as expected, the students spared no effort in making their teachers feel special and appreciated. The teachers were honoured with flowers and beautiful idols of Lord Ganesh, as a token of their love. They had an elaborate program planned, which included songs dance and speeches. Mrs. Latha, the Head Mistress aspired to be a teacher from her childhood days, and being here is now a dream come true. Though she is very happy to be in this profession, she does not reflect the same sentiment towards the provisions of the RTE Act. “Promoting students irrespective of whether they are deserving or not, has made children lax and less motivated, posing a huge challenge for teachers.” Parents and students alike seem to have lost any value for education. While people are complaining of lack of good teachers, it is time we think in terms of providing committed teachers like these with systems and provision which will complement their efforts. At the 2nd block Government School, Rajajinagar, dances, speeches and mimicry were the order of the day as students entertained their teachers with their innumerable talents. The balloon bursting competition amongst teachers saw Mr. Prakash, set a new local record by bursting a total of 17 balloons in under two minutes. With such speed and precision, he went about decimating his competition earning new found respect from his otherwise already-in-awe students. Bringing to an end the day’s celebrations, students nibbled on their cupcakes as teachers spoke in high praise of the Dream School Foundation and its commitment towards excellence. As we entered the premises of the Government School Jugannahalli, students were relishing their mid-day meal of hot rice and piping hot sambar. After a hearty meal, students gathered in a classroom and little Ranjita of Standard Five in true oratorical style spoke of her teachers and their care and commitment in educating them. A mimicry performance followed by a dance, depicting Lord Krishna, was well received by fellow students and teachers who saw another side to their otherwise naughty, yet talented children. At the Government School, Prakash Nagara, a number of Kannada speeches, anthems and songs constituted the entertainment segment. Mimicry, and a 'Burst the Balloon' competition for the teachers, saw enthused kids cheer on. The sporting teachers were most willing to put on a show that gave much joy to their biggest fans. 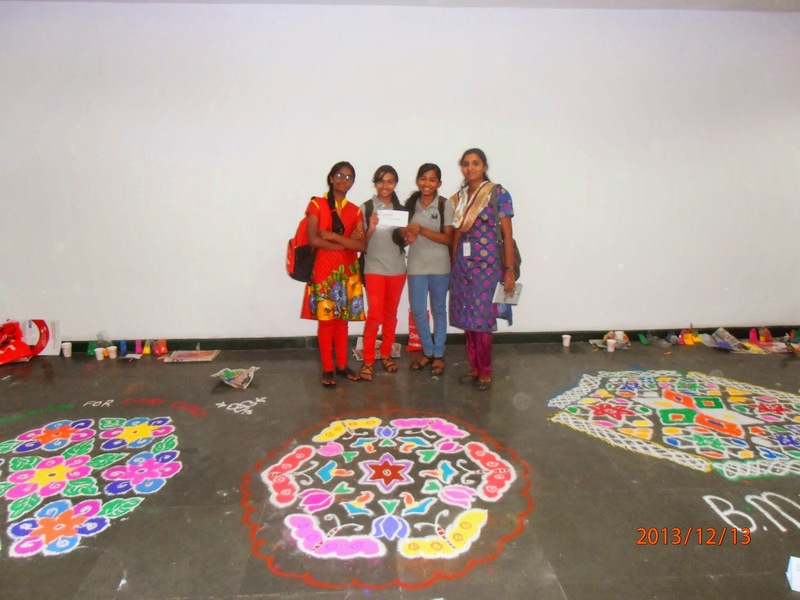 Teachers Ms. Gangamamma and Savitha, reiterated that it was their duty in building a foundation for these less fortunate children. The teachers strongly believed there was so much scope in value addition that goes beyond just academics- they stressed on a need to enhance computer literacy and use more information technology in the gambit of education. As we moved on to the Government School, Kethmaranahalli, a spacious classroom splashed in bright blue was slowly filled to capacity by students in uniforms of a matching indigo. With charts of animals, vegetables, and a whole lot of other artwork that adorned the walls, students totaling about a hundred waited for their teachers to arrive. In the interim, as Maitreyee (Founding Member of D.S.F), engaged students in conversation, to one question, with firm conviction, a student said that Teacher’s Day is celebrated as this was the day that all teachers were born. Head-Mistress, Miss Parimala, and associate teachers, Miss Pankaja and Miss Vishalakshiwere again praised to the skies by students. A small skit imitating their teachers had the audience in splits. In a bid to engage the teachers in a competition, each teacher was asked to blow a balloon which was to be burst only by sitting on it. At the end of two minutes the teacher with the highest count would be the winner. As the event began, with each bursting balloon, the children cheered on and celebrated just as they would during Diwali. Each balloon that burst saw a roar from kids who found it hard to contain their excitement. As the teachers cut a cake in celebration of this day, students sang Happy Birthday at the top of their lungs. A quick correction and in the same tone and rhythm, they sang Happy Teachers Day and sunk their teeth into the cupcakes that were distributed. Miss Vishalakshi told us of the complex matters that they deal with on a daily basis at school. Grossly understaffed, teachers find it difficult to handle these many students at a time. Parents who are drunks, drug addicts or imprisoned seem uninterested in the education of their wards, thereby making it harder for the teachers who are expected to don additional responsibility. In the shade of the sylvan canopy at the Gymkhana, the IISc Government School was busy in preparation fort his year’s Teachers Day celebrations. In the backdrop of this makeshift venue, there hung a banner with personal messages written by students, for their beloved teachers. Seated right in front, teachers of the IISc Government School were in for a treat of cheerful entertainment. Dressed in their best and most colourful attire,students made haste to begin with the day’s celebrations. An opening speech in praise of teachers-in English and Kannada was followed by song and more tribute for their guiding lights .As Sowmiya ma’am, music instructor, member of the Dream School Foundation team played accompaniment on the harmonium for a slew of songs, one couldn’t help but notice that the teachers smiled in contentment. Though three different stanzas were sung at the same time of a particular song, nothing could deter the spirit in which celebrations ensued. With a fitting end to the event, students sang Raghupathi Raghava Raja Ram and Vande Mataram in unison.Enhancing the fun-factor, a lemon and spoon race amongst teachers saw cheering that belittled the support for our Olympic team. As teachers raced towards the finish line, students encouraged their favourite mentors which concluded in a photo-finish moment. A small cake-cutting ceremony and distribution of cupcakes to all students gave us a window of opportunity to speak with a few teachers. Overwhelmed by the children’s enthusiasm, Miss Padmini, Head-Mistress-In-Charge at the IISc Govt.School spoke of the limitless love and affection each student had to offer and that there was no reward as gratifying.